Ny låt fra bandet, som kommer med skive i slutten av mai. Og nå med to søstre i front. Det er Napalm Records som slipper 'The Aftermath', releasdato er 25. mai. Og søstrene er selvsagt vestlendingene Espenæs. "In December 2017, it was announced that Liv Kristine joined Midnattsol as their official second singer - right next to her very talented sister Carmen Elise Espenæs." 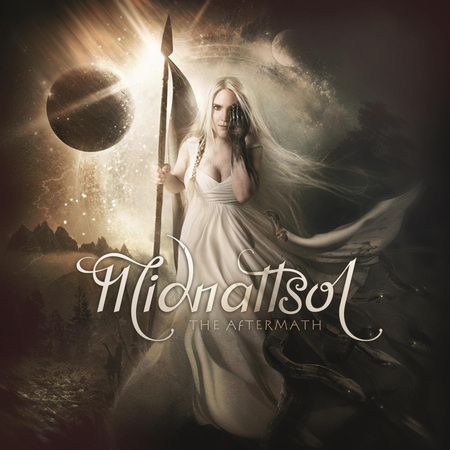 "The Aftermath relies much more heavily on folk influences lending atmospheric density to the melancholic symphonic metal compositions. It is a sumptuous and sensual affair and a shimmering highlight in the discography of this German /Norwegian team!"